From the Nobel Prize–winning author of The Eye of the Storm comes a vivid, visceral tale of childhood friendship and sexual awakening from beyond the echoes of World War II. Sydney, Australia, 1942. Two children, on the cusp of adolescence, have been spirited away from the war in Europe and given shelter in a house on Neutral Bay, taken in by the charity of an old widow who wants little to do with them. The boy, Gilbert, has escaped the Blitz. The girl, Eirene, lost her father in a Greek prison. Left to their own devices, the children forge a friendship of startling honesty, forming a bond of uncommon complexity that they sense will shape their destinies for years to come. 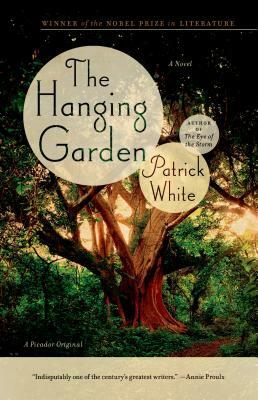 Patrick White's posthumously discovered novel, The Hanging Garden, which represents the first part of what was intended to be his final masterpiece, is a breathtaking and important literary event. Seamlessly shifting among points of view, and written in dazzling prose, Patrick White's mastery of style and highly inventive storytelling will transport you as the work of few writers can. Patrick White was born in England 1912 and raised in Australia. He became the most revered figure in modern Australian literature, and was awarded the Nobel Prize for Literature in 1973. His books include Voss and The Tree of Man. He died in September 1990.